While configuration tools can help eliminate common pain points, they require a high learning curve for many admins. 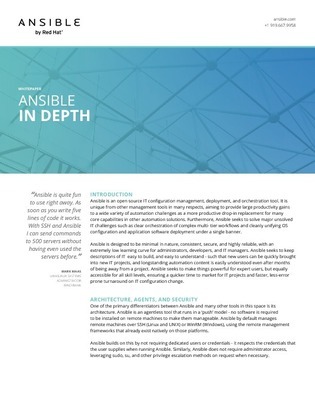 Discover in this white paper an in-depth overview of IT configuration management, deployment, and orchestration, and learn about an easy-to-use tool for all skill levels that is purpose-built for deploying workloads to public and on premise clouds. Access now to learn more about how to ensure a quicker time to market for IT projects and faster, less-error prone turnaround on IT configuration change.